The Digilent Pmod ESP32 features a radio with support for 802.11 b/g/n Wifi and dual-mode Bluetooth. 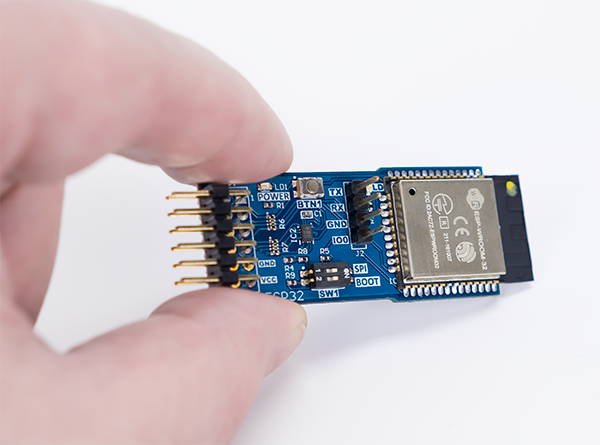 This module is perfect for connecting your FPGA or microcontroller projects to your home network, the internet, or any bluetooth hardware. The Pmod ESP32 contains a Tensilica Xtensa microprocessor, which can be operated in slave mode with AT commands over a UART interface. Additionally, the Pmod ESP32 can be operated in standalone mode and run custom applications. In slave mode, the module can be configured as an access point to host a Wifi network, or a station to connect to an existing network. Slave mode functionality over UART is made easy through the use of a well documented AT command set. An additional UART port is provided on the top of the module for system debugging and firmware flashing. Standalone mode gives the user access to the full API and SDK provided by Espressif for operation through the use of the Xtensa tool-chain. 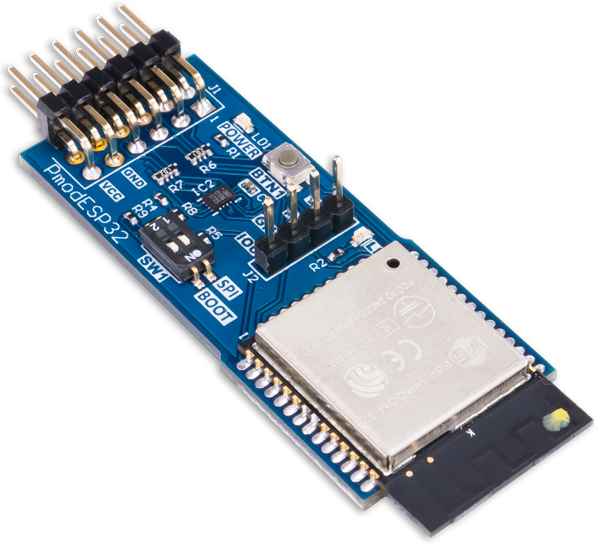 The Pmod ESP32 is a great and cost-effective way to add WiFi and Bluetooth to any project.